The Dallas/Ft. Worth economy is thriving. 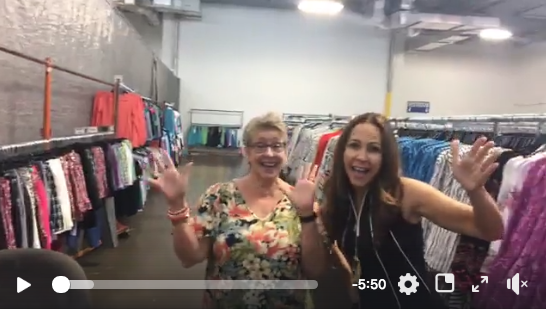 From clothing to appliances to home decor, there are plenty of places to shop and find great deals at true outlet stores. 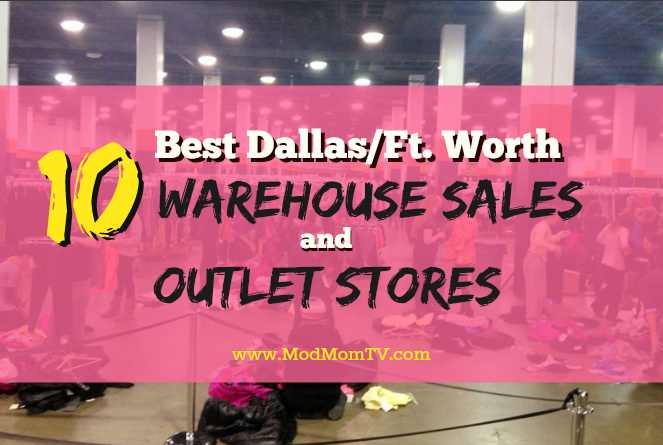 Plus, North Texas is home to many corporate headquarters …and that means we get to enjoy huge warehouse sales. Check out our list of the 10 Best Dallas/Ft. 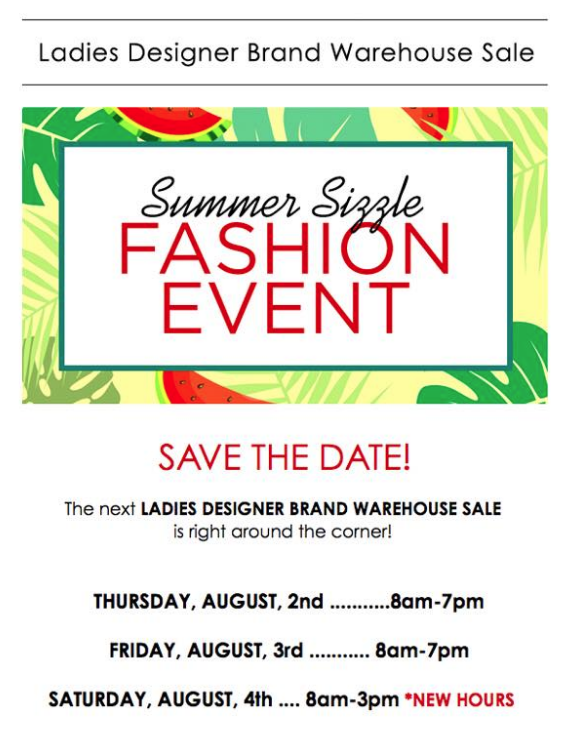 Worth Warehouse Sales & Outlet Stores and get ready to save some serious CA$H!!! Wisteria travels around the world to find eclectic home decor to sell online at affordable prices. Yea, for affordability! And lucky Dallas/Ft. Worth folks also get to shop the Wisteria outlet store located on Midway Rd. in Farmers Branch. Through August 18th, they’re having a Clean Out, Blow Out Warehouse Sale with items up to 80% off + an extra 15% off STOREWIDE! Get details over on the Wisteria Facebook Page. 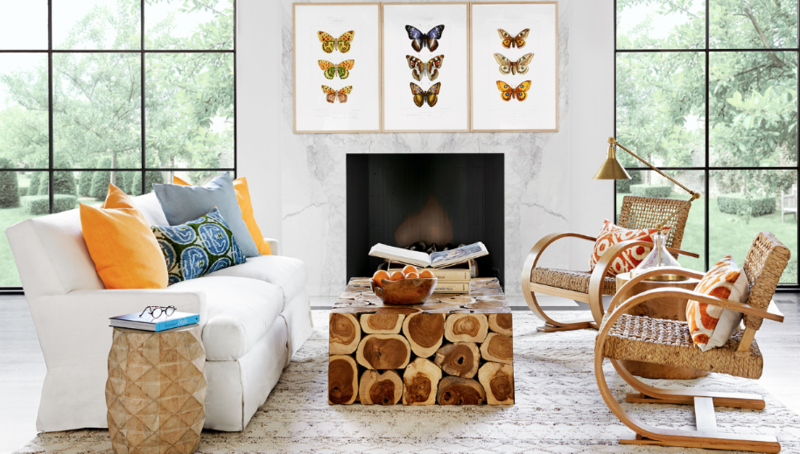 Watch the video HERE to learn more about the owners of Wisteria on the Nate Berkus Show (way back when he had a show). 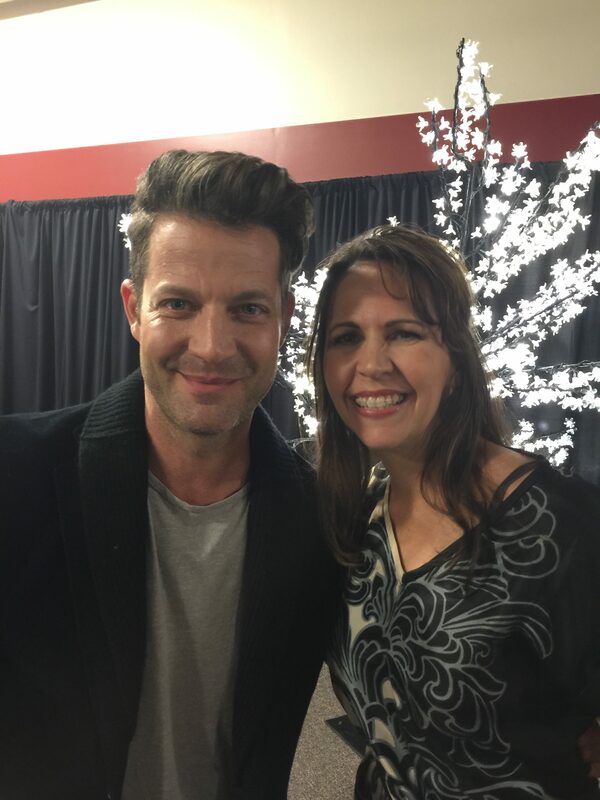 Hmmm….remember that time I chatted with Nate Berkus, too. Oh, pardon me, while I pick up that name I just dropped. Now to be clear, the Cort Furniture Clearance Center in Carrollton isn’t a one-of-a-kind, hidden outlet store secretly found on some side street in the Dallas design district. 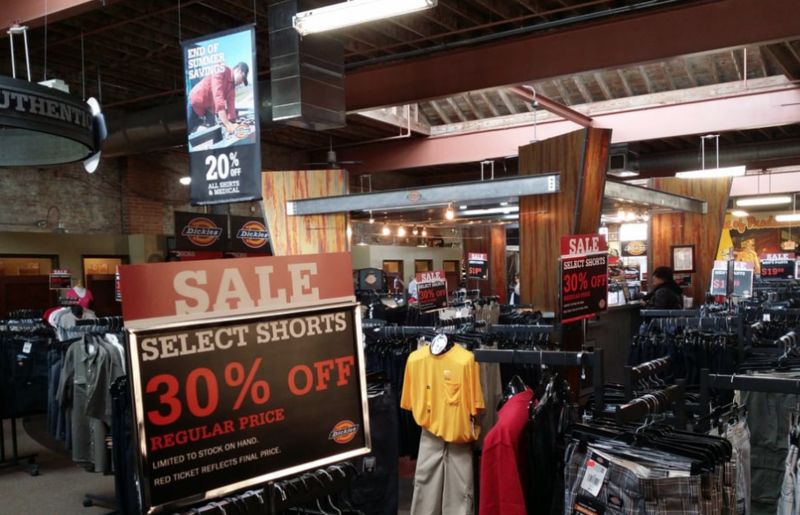 Cort actually has over 100 clearance centers located all over the U.S. But what I like about this place is you can score high-quality, previously rented furniture from executive apartments, movie sets and model homes with prices up to 70% off retail. We actually purchased our dining room chairs from Cort about 10 years ago. I got brand-new, upholstered parsons chairs for about $40 each!!! Yeah, that’s a great score! 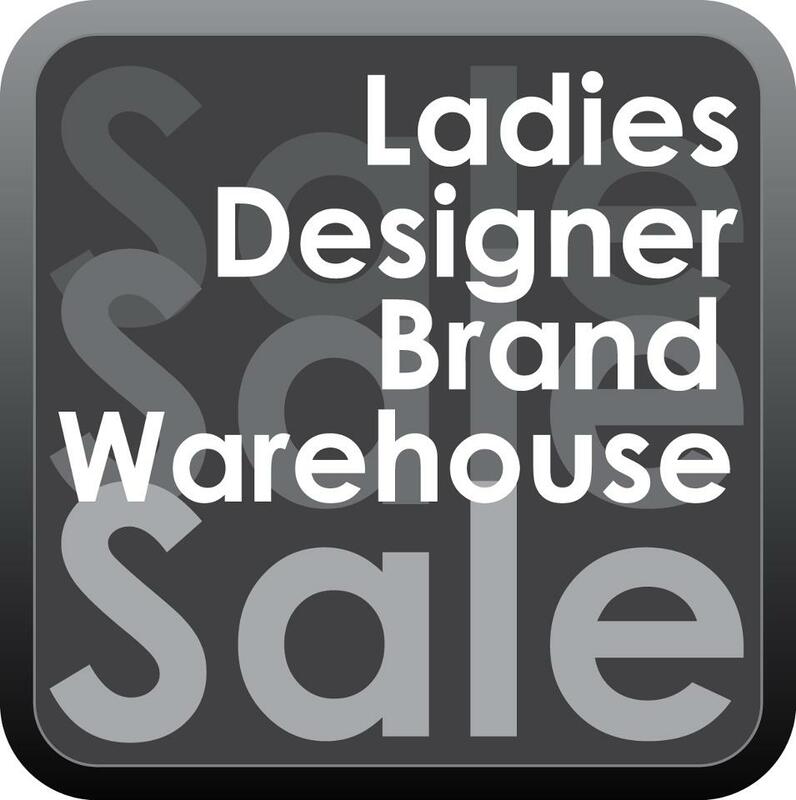 Four times a year the Ladies Designer Brand Sale has a sale of private-label women’s clothing sale held in the Dallas area. You’ll find over 15,000 pieces for women of all sizes from brands like Sharon Young, a la carte, MULTIPLES, Tru Luxe, Slimsation, Ali Miles and more. This is great place to score deals on first-run, top quality items from popular designers usually found in your favorite department stores. This 3-Day sale is located at 10367 Brockwood Rd, Dallas, Texas. Keep in mind, NO CHILDREN UNDER 12 and NO MEN are allowed at the sale. My all-time favorite place to get the best deals on food is at Town Talk in Ft. Worth. I call it the place “where food goes to die!” Read my post HERE and see why. 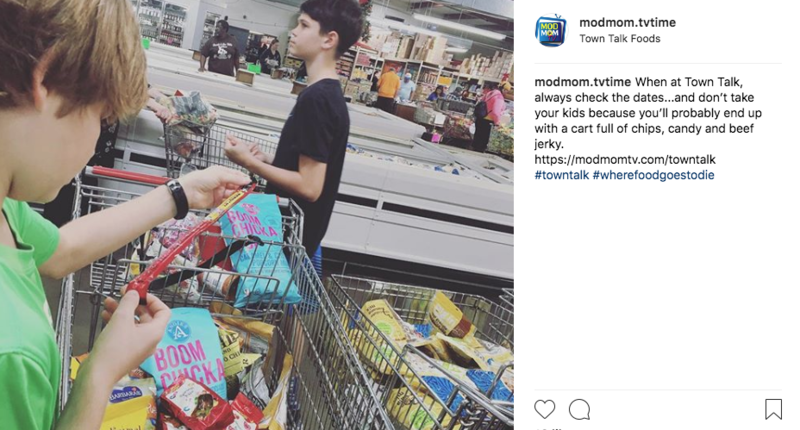 Town Talk is a grocery salvage store focused on selling groceries at extreme discount prices. 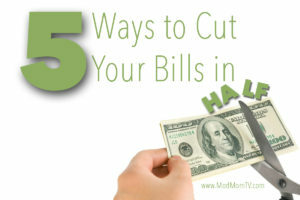 It’s great for people with limited budgets and anyone who enjoys the hunt for bargains. The corporate headquarters for Dickeys is in Ft. Worth on Vickery Blvd. 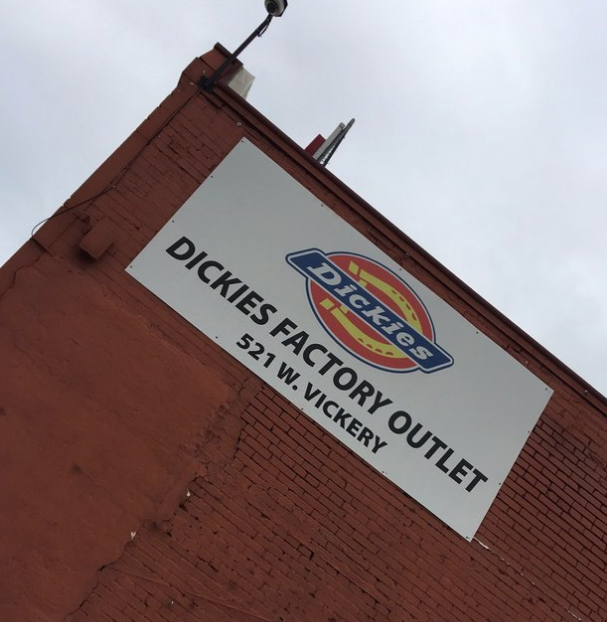 and right next door you’ll find the Dickey’s Factory Outlet. I’ve never been (because I’m not a farmer 🤠), but you can read Yelp reviews to get a sense of the place. Plus, every September customers receive (2) FREE Texas State Fair admission tickets with any $50 purchase ONLY at the Ft. Worth outlet location. If you don’t mind digging for deals, 1/2 of 1/2 is the place for you! 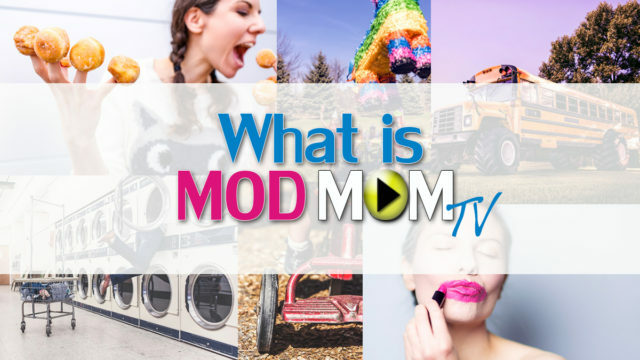 They have over 20 stores, six of which are in North Texas. The best day to shop is Wednesday at 10am because that’s when they add new merchandise. 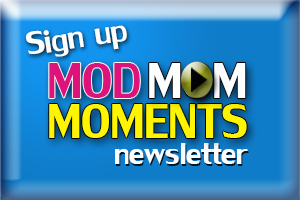 Join their eInsider email and get a $5 of Coupon over on the 1/2 of 1/2 website. But be forewarned — their website is pitiful. Hello, 1998! But I guess that means they’re too busy in their retail stores to mess around with what’s going on with the little, ole’ world wide web. Even the link from their website to their Facebook page it broken. Ugh…I’m getting all twitchy inside!! Since the 1950’s Texas Appliance has been a locally owned and operated major appliance dealership serving both retail and builders needs. 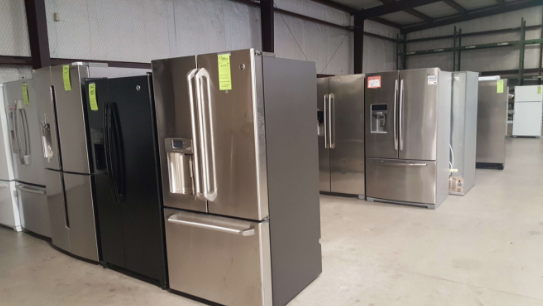 And if you need new appliances, don’t mind scratches and dents and want to save some money, check out Texas Appliance Outlet in Arlington to save some serious cash. 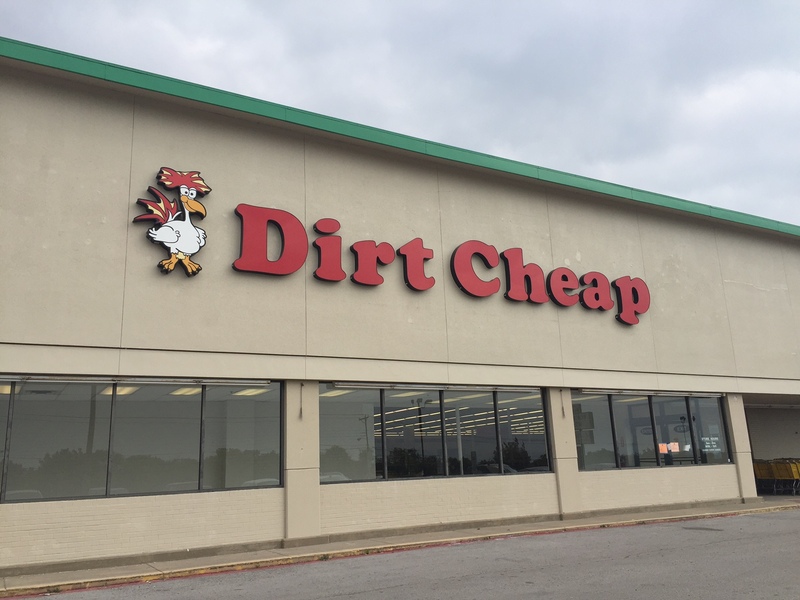 Dirt Cheap is a bargain hunter’s paradise. I regularly shop at the Carrollton location and find tons of great deals, mostly originally from Target and Walmart, at 30-90% off regular retail prices. 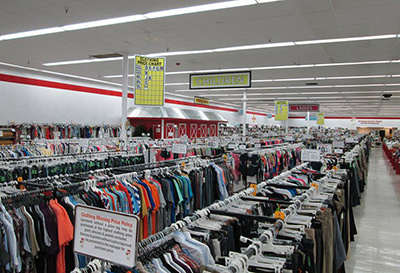 Dirt Cheap buys overstock and salvage/return items from the large retailers (or possibly from Discount Truckloads…yeah there’s a whole ‘nother world of buying out there, if you ever want to start your own resale business!) probably for pennies on the dollar. They then turn around and liquidate the merchandise in their 90 Dirt Cheap locations across 7 states. I’ve found awesome deals on furniture, lamps and rugs all brand new from Target (these were online purchases that had been returned to the store). That being said, be sure to throughly check items for damage before you make any purchases. All sales are final at Dirt Cheap, so visit their “testing table” equipped with outlets for testing electronics and unbox and examine everything before you check out. What’s cool is the products in stores are always changing, so you never know what you’re going to stumble upon. And to save yourself a unnecessary trip, check out their What’s In Stores online tool and see pictures of what’s available at your local store. 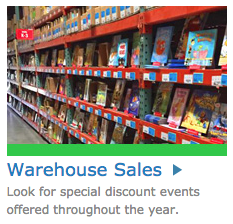 Many teachers and homeschool moms have known about the SCHOLASTIC WAREHOUSE SALE for years. This sale awesome sale is exclusively for librarians, teachers, school employees and volunteers, Book Fair chairpeople, and homeschool teachers. Most books are 50% off the cover price, with damaged books priced at 80-90% off! And if you want a way to save even more money, check ‘Yes, I want to volunteer’ when you register for a sale. For ever hour you volunteer, you’ll get a gift certificate for $10! You can volunteer for as many hours as you want to work. Follow the Dallas/Ft. 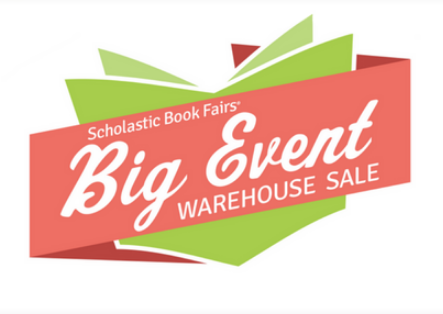 Worth Scholastic Warehouse Sale Facebook page for info on upcoming sales at their Arlington, TX location. Did we many any big warehouse sales or your favorite outlet store??? Share in the comments! Looking for an Anthropology warehouse sale. I just read about one in Gerogia. Any luck that there is one around D/FW? We are having our bi annual one day sale here at the Funtasia too warehouse in Dallas on Feb 22. We sell beautiful children’s clothes girls 3 months -size 16 and boys 3 months- 4T. Prices are $2 to $20- below wholesale for sure! Please let me know if you would be interested in partnering with us to promote our sale.